Italian cuisine has become a staple in any major city across the United States, and it’s no different in Indianapolis, Indiana. The rich, creamy foods that have won the hearts and awards of many can be found here. Even better is that Indianapolis restaurants put a unique twist on their menus while still offering popular favorites. A number of establishments are known for taking the foods we love and making delicious adjustments to them. Whether visitors are looking for a laid-back pizzeria or a high-end fine dining Italian experience, Indiana has it all. The Pizzi family kitchen in Liguria, Italy was always filled with love, laughter, and delicious food made using recipes and techniques that have been passed down for generations. In 1979, the family opened Ambrosia so that they could share their delicious delicacies with the people of Indianapolis. Focusing on freshness, quality, and innovation, Ambrosia offers impeccably flavored and artistically presented dishes. Choices of antipasti, salads, soups, pasta, entrees, and sides are offered. Popular choices include a traditional Ligurian seafood stew, fettuccine alfredo with shrimp, chicken parmesan, and ravioli stuffed with spinach and cheese tossed with a pesto cream sauce. 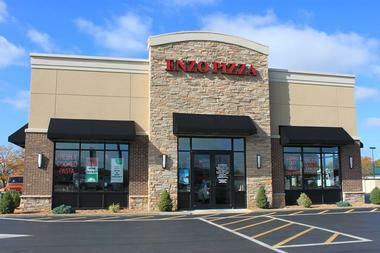 Established in 2008, the Brozinni Pizzeria offers delicious Italian dine-in and takeout options. The menu features some of the most delicious appetizers such as garlic knuckles made with fresh homemade dough and drizzled in garlic butter and parmesan cheese, pepperoni breadsticks, fried ravioli, and fried mushrooms served with homemade ranch or marinara. The restaurant is a great, friendly place for families and friends to get together and enjoy calzones, sandwiches, pizza, and pasta. The dessert menu has a special Brooklyn Bridge Brownie that is a perfect way to end a meal at Brozinni’s. The Capri Restaurant has been around since 1950; two brothers owned it before the current owners who dreamed of serving traditional Italian cuisine with lots of flavor and reasonable prices bought it. Visitors can start their night with an antipasto misto for two that is filled with assorted cold cuts and marinated vegetables. Entree options include the ricotta and spinach ravioli, scallops sautéed in wine, homemade gnocchi, and a number of other dishes. Some of the chef’s specialties are bell peppers stuffed with chicken, pine nuts, and ricotta cheese, the calamari fritti, and the eggplant parmesan. Offering a casual al fresco waterside dining experience, Fresco Italian Cafe on the Canal presents a delicious range of homemade sandwiches, flatbread pizzas, soups, salads, beer, wine, specialty cocktails, and Italian ice. The cafe is closed during the winter season and reopens in March. Visitors who are in Indianapolis at the time can try neighborhood favorites such as the mini meatball starters, the Stromboli sandwich, and the Tuscany flatbread pizza topped with green olives and pesto or the roasted red peppers with feta dip. Visitors with a sweet tooth can try an Italian or American s’more or a deliciously refreshing Italian ice made with fresh fruits and sugarcane. Iozzo’s Garden of Italy has a historic past that started with Fred Iozzo traveling to the United States from Calabria, Italy in 1888. After working on the Boston and Ohio Railroad and building a grocery store empire, he opened Indianapolis’ first full-service Italian restaurant. His sons soon joined the family business, but it sadly closed in 1940. Though the restaurant remained closed for nearly seventy years, the family’s secret recipes and techniques have been passed down throughout the generations. With this knowledge and with the help of family and friends, the restaurant reopened to serve the Indianapolis area in 2009. 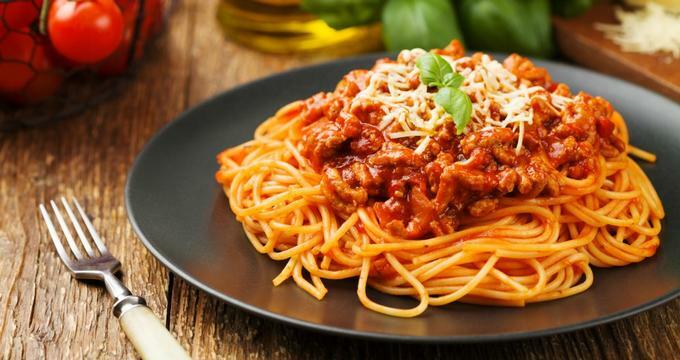 Restaurant diners can indulge in delicious Italian cuisine such as an antipasti plate, brick oven pizzas, Italian wedding soup, and spaghetti, lasagnas, and baked penne. Mama Carolla’s was established at a time when restaurants were tables placed around the home for visitors to get a decent home cooked meal. With the aim of cooking for her customers just as she would cook for her family, the owner reopened the restaurant in 1997. Since then, the restaurant has been awarded one of the Top 50 Most Romantic Restaurants by USA Today. Antipasti favorites include the Portobello mushrooms stuffed with crab meat and cheese, fried ravioli, and bruschetta topped with freshly smoked mozzarella. Entrees such as clam linguine, Mediterranean rigatoni, and sautéed chicken and shrimp penne pasta have become local favorites. 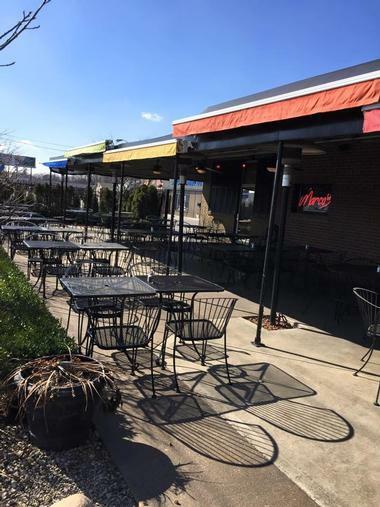 One of Indianapolis’ favorite Italian restaurants, Marco’s Restaurant and Lounge offers delicious cuisine in a casual lunch and fine dining dinner setting. The lunch menu has quick favorites like the battered and fried calamari, the chicken black bean quesadilla, and the chicken parmesan lunch entree. Dinner features a richer range of foods such as the stuffed eggplant rolls, the mushrooms filled with crab and cheese, and the shrimp and crab ravioli served in a roasted garlic mushroom alfredo sauce. Diners can stop by the bar before their meal and have a glass of fine Italian wine such as a sparkling Lunetta Prosecco or Lagaria Pinot Grigio. Napolese offers a world class pizza experience; rightly so, as the dishes are artfully created with carefully sourced cheese, meats, and local farm produce that is grown specifically for the restaurant. Guests can choose from a number of starters, soups, salads, and sandwiches. The artisanal pizza is made with hand-formed dough and homemade tomato sauce, and diners can also request a gluten-free crust as one of the many options. The Napolese Broken Yolk which is a margherita pizza with quail eggs, the Meridian Kessler topped with Italian sausage, provolone, and mushroom, and the BLT (which has handfuls of smoking goose jowl bacon and leeks) are some of the most popular. Nicolino’s Italian is one of the few Italian restaurants that have an extensive breakfast range alongside their lunch, dinner, and lounge menu. Nic’s breakfast has omelets, sandwiches, and specialties, with favorites including the Speedway omelet with eggs, bacon, cheese, ham, mushrooms, sausages, and toast. The broken yolk egg sandwiches are all the rage and have delicious add-ons such as avocado, apple wood smoked bacon, sautéed spinach, and herbed cheese. The dinner menu features a collection of Italian and American favorites that leaves visitors with the difficult choice between the seafood puttanesca and the succulent pork tenderloin among other dishes. 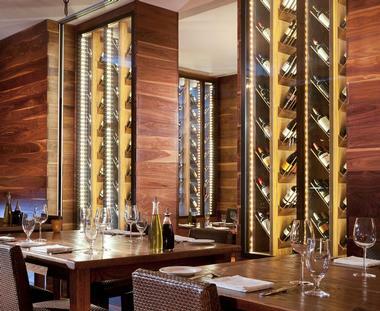 Osterio Pronto is a hidden gem of a restaurant situated in the lobby of the JW Marriott Indianapolis. The restaurant serves authentic Northern Italian cuisine using fresh ingredients, authentic flavors, and delicate techniques to create the handmade pasta. Many of the ingredients are locally sourced, and restaurant diners can see how they’re put into use in the open kitchen that allows guests to sneak a peek at the details that go into each dish. Pizza is baked to perfection in the brick oven, and gnocchi is rolled fresh daily at the hands of the chef. 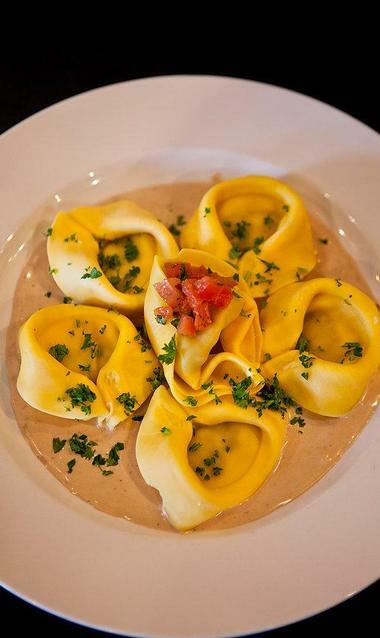 Dishes to try are the Tuscan soup with Italian sausage, the cheese ravioli made with local ricotta, and the tortellini stuffed with smoked chicken and aged provolone fonduta. 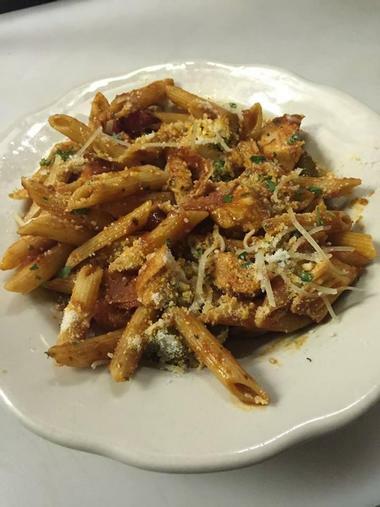 With eleven locations spread across Indiana and Kentucky, Puccini’s Smiling Teeth Pizza and Pasta has been making award-winning pasta and pizza for years. The food is delicious; the pizzas are made with a homemade crust and simmering tomato sauce while the pastas are handmade fresh daily. Diners who have dietary restrictions need not fear, as Puccini’s has over 50 gluten-free items on the menu and numerous vegetarian options. They can also be customized to be dairy free. Everyone in the family can choose from the pizza, pasta, calzones, sandwiches, salads, soups, and appetizers available. Guests flock to Sangiovese Ristorante to enjoy a great bowl of pasta along with a perfectly-paired glass of wine. 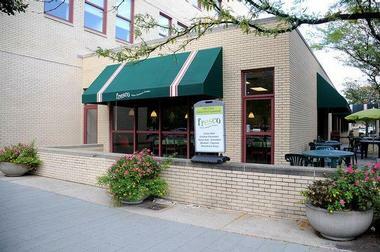 The restaurant, which is owned and operated by Chris Evans, has been serving the Indianapolis community with fine Italian cuisine since 1994. Using fresh ingredients and imported goods, the restaurant serves a myriad of dishes. Some of the favorites include the Cacciuco, which is a Tuscan seafood stew brimming with fish, shrimp, mussels, clams, and calamari, and the Linguini Bosco Mare, a linguini tossed with shrimp, mushrooms, tomatoes, basil, and garlic. A Sangiovese favorite is the Lasagna Alla Bolognese, where handcrafted lasagna is layered with bechamel and marinara sauce. 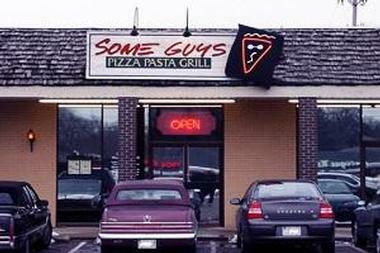 Some Guys Pizza, Pasta, & Grill have been serving Indianapolis with award-winning Italian food for over twenty-five years. The restaurant has two locations, both of which serve amazing thin crust pizza, rich pastas, hefty subs, and refreshing salads. The pizza dough is made from scratch and in-house daily using the secret family recipe. All of the pizzas start with a combination of fresh dough, sauce made from sweet roma California tomatoes, and a mix of mozzarella and fontina cheese. Diners can choose from vegetarian pizzas, wood oven pizzas, house specialty pizzas, or design their own. 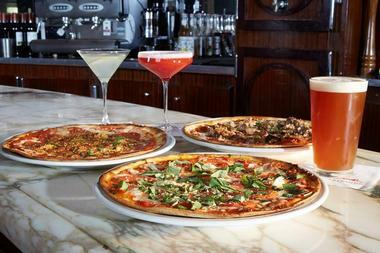 Some of the house specialties include the jerk chicken, house sausage, and the 5-meat pizza. Vito Provolone’s doesn’t just serve fine Italian cuisine; they also show diners the true aspects of Italian life: food, wine, culture, and people. The family-friendly atmosphere is just the place for friends and family to get together and enjoy themselves over a delicious spread of food. Starting with the stuffed mushrooms, diners can move on to an antipasti salad and then select from an array of fish, seafood, and chicken entrees. Some worth mentioning are the chicken pesto simmered with pine nuts and artichoke hearts, the seafood fettuccine, and the tilapia in a lemon-caper sauce. Bazbeaux Pizza diners wouldn’t be able to find better pizza in Italy itself. All of the delicious pizzas start with a base of homemade tomato sauce and a blend of provolone, mozzarella, and Pecorino Romano cheeses on a freshly made crust. 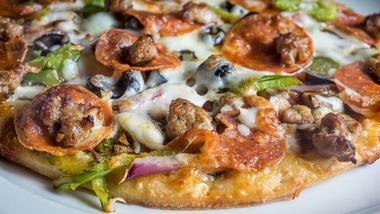 Diners can choose from white crust, wheat crust, gluten-free crust, or gluten-free vegan crust. While the restaurant has the range of traditional toppings such as pepperoni, bacon, mushrooms, jalapenos, and much more, there are also a handful of exotic toppings available. Adding sun-dried tomatoes, capers, eggplant, fresh goat cheese, or black bean dip onto a pizza can take it to a new level of flavor. 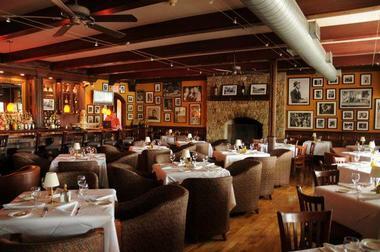 The Lakehouse at Geist is a beloved restaurant in Indianapolis. They offer lunch Friday through Sunday as well as an enormous spread for Sunday brunch. The restaurant connects to a mezzanine and lounge with a full bar and appetizer menu. During the summer, the restaurant deck is a great place to dance to the live music there and enjoy a clambake. The Lakehouse at Geist has many favorites on the menu, and in addition to the blackened chicken and shrimp penne, the cheese stuffed tortellini, and the chicken parmesan, diners can also try the twin lobster tails, filet sliders, and the crab bread. Creating delicious Italian cuisine with authentic recipes, farm fresh ingredients, and unique techniques, Enzo’s Pizza offers traditional Italian food in Indianapolis. 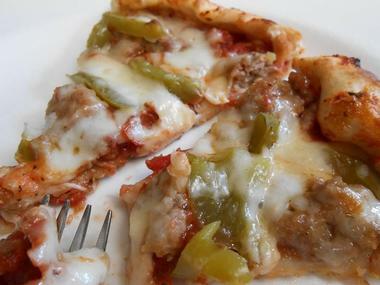 Packed with flavor while maintaining nutritional value, the dishes include a range of pizza, breadsticks, salads, appetizers, calzones, subs, and pastas. Instead of the regular breadsticks, diners can opt for fluffy breadstick stuffed with pepperoni. Pizzas can be bought by slice or whole and guest favorites include the meat lovers, chicken ranch, and the meat stuffed pizza. Enzo’s also has many combo meals that are cost effective such as combining any pasta with a side salad, garlic bread, and drink. 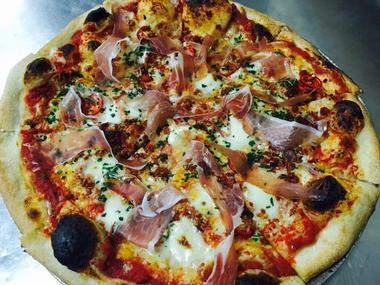 Jockamo Upper Crust Pizza offers much more than tasty specialty pizzas. 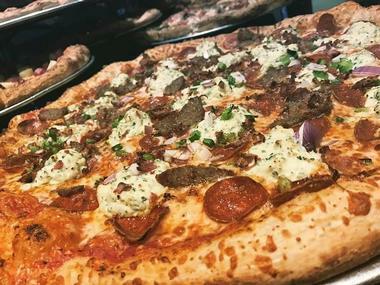 However, the pizzas are a crowd pleaser and include the Slaughterhouse Five topped with pepperoni, Italian sausage, sliced steak, ham, and bacon, and the Seoul Man which is a pizza topped with Korean barbecue sauce, kimchi, and a choice of sliced beef, pulled chicken, or pulled pork. Jockamo has many sandwiches on the menu too, with popular favorites being the Italian beef sandwich and the California roll stuffed with lump crab meat, avocado, and peppadew peppers. A unique addition to the extensive menu is the PBJ pie on the kid’s menu, which is a peanut butter and grape jelly pita pizza. Palomino is a vibrant urban Italian restaurant in the heart of Indianapolis. The restaurant, bar, and rotisserie is famed for its creative menu and hardwood-fired Mediterranean meals. The restaurant has locations in five states, all of which offer the same culinary concoctions and drinks. The menu is extensive and includes starters, soups, salads, artisan pizzas, fresh pasta, custom steaks, and meat, poultry, and seafood entrees. Some items that shouldn’t be missed are the crab and artichoke dip served with flatbread chips, the pepperoni artisan pizza made with aged mozzarella, and the prawn scampi tossed in garlic butter and white wine. 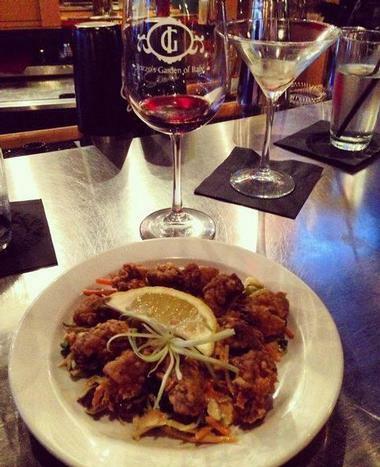 Right in the heart of downtown Indianapolis, Pearl Street Pizzeria and Pub is a popular choice for friends and family looking for good food, great drinks, and an amazing atmosphere. The back-alley restaurant has a number of handmade specialty pizzas, sandwiches, and a selection of refreshing local microbrews on tap. All of the food uses only the best ingredients, and the dishes are made fresh. The menu has a lot of common favorites as well as some unique additions such as the blue cheese chicken melt sandwich and the pesto wrap. There is a daily lunch and drink special that combines popular options such as the meatball sub with local craft pints. 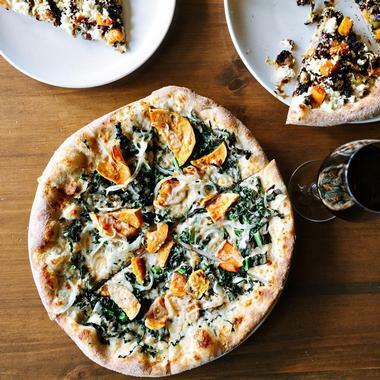 Pizzology is the restaurant venture of Chef Neal Brown, one of the top chefs of the Midwest. 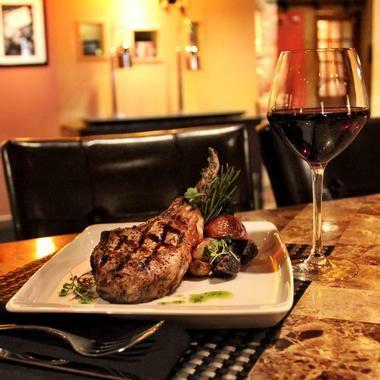 Since its opening in 2009, the restaurant and pub has been titled “Best New Restaurant” by Nuvo and “Top 10 Restaurants” by Indianapolis Monthly. It was founded on the belief that better food comes from better sources, so many of the ingredients found in the craft pizzas, pastas, and starters are locally sourced from sustainable farms. Popular choices include the spaghetti and meatballs, the Delaware Fireball pizza with smoked goose salami and Calabrian chillies, and the Baby Cheesus pizza topped with cream cheese, mozzarella, and parmesan. Founded by a Chicagoan, Roselli’s Pizza bought the flavors and technique that the windy city is known for to the heart of Indianapolis. Offering thin crust, double crust, deep dish, and pan pizzas, Roselli’s also has a number of pastas, calzones, sandwiches, chicken entrees, barbecue ribs, salads, desserts, and drinks. 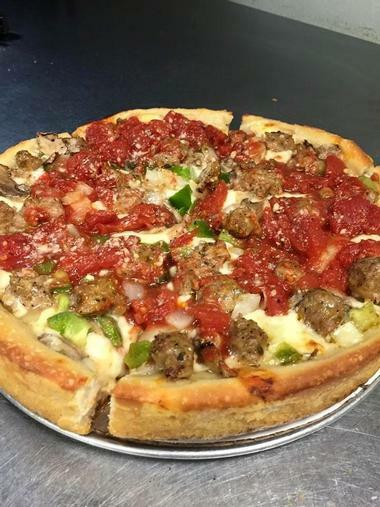 The Italian sausage sandwich, fried ravioli, and the deep dish BBQ special pizza are not to be missed. Roselli’s offers one of the very few Italian lunch buffets in town. It is anything but skimpy and has a different variation of pizza, pasta, and appetizers daily. 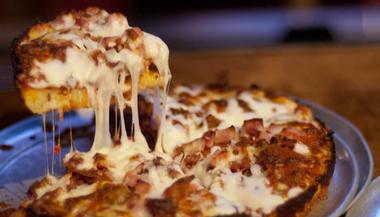 Locally owned and operated since 1999, WB Pizza has an extensive range of food on their menu. Chef Will Barnes, who has over thirty years of culinary experience, powers the restaurant. The pizzas are made with all natural dough that is prepared fresh daily and the pastas use all the technique of a home kitchen in Italy. 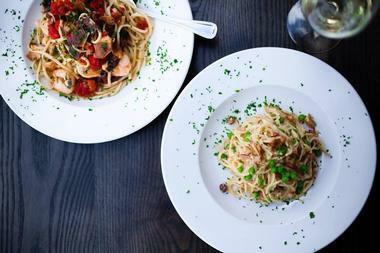 Diners can create their own pasta by picking their choice of noodles, sauces, and meats. The sourdough cheese bread, stuffed breadsticks, meatless specialty pizzas, turkey pesto aioli sandwiches, and triple layer chocolate cake have become customer favorites over the years.